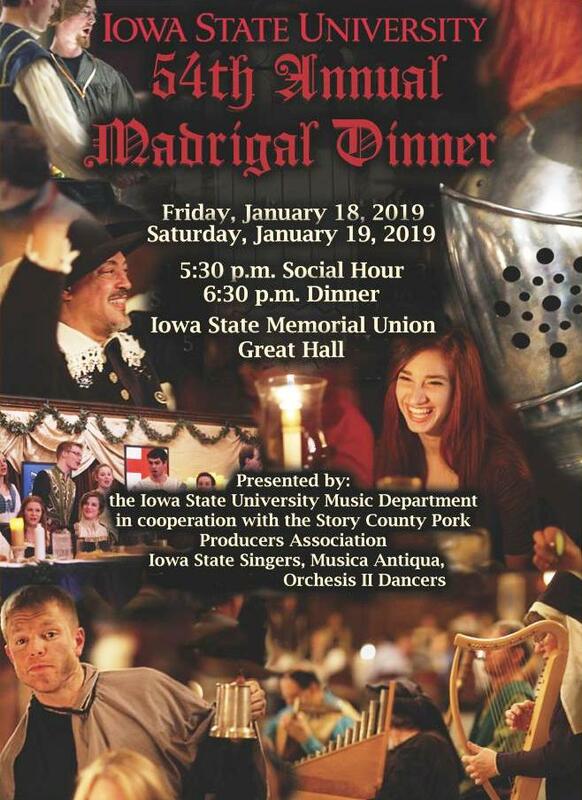 The 54th annual ISU Madrigal Dinners, featuring the Iowa State Singers, will be presented Friday and Saturday, January 18 and 19, 2019, beginning at 5:30 p.m. in the Great Hall of the Memorial Union on the Iowa State campus. You are cordially invited to discover the ancient traditions of Merrie Olde England. Join the Iowa State Singers, Musica Antiqua, and Orchesis II Dancers and raise the wassail cup to welcome the new year! actual seats at that table are general admission upon arrival.